Click on your brand and you will be redirected to a page bobbin with information. Ideal for most woven fabrics, some knits and synthetics. The Universal Needle has a slight ball point making it extremely versatile. It works well on most machines and is the most commonly used needle for synthetic woven and natural fibres. The finer needles are generally used on lightweight fabrics and the larger sized needles for medium to heavyweight fabrics. Suitable to be used with polyester / cotton or silk threads. Ideal for piercing and quilting layers of cotton fabrics and batting. 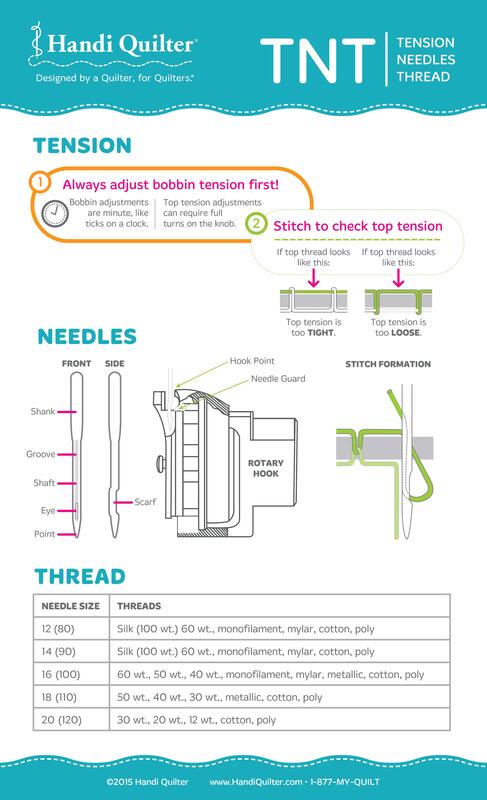 A strengthened longer shaft also helps to reduce needle deflections as the needle penetrates multiple layers of fabric while maintaining a perfectly straight stitch. Ideal for cotton knits, interlock, rib knits, fleece, double knit, and so most knit fabrics. The tip is more rounded that the Universal needle and is designed to push the fabric fibres apart rather than cutting them, preventing the knit fabric laddering or running after stitching. 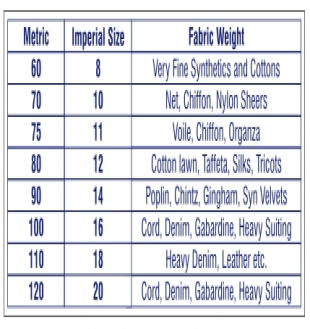 Generally threads such as polyester or polyester/cotton blends are best. Once again the finer the needle the finer the thread to be used. Designed especially for two way stretch knits, lycra, power net, silk jersey, spandex and highly elasticised synthetic fabrics, also ideal for sewing elastic. The Stretch Needle has a specially designed scarf which prevents skipped stitched. 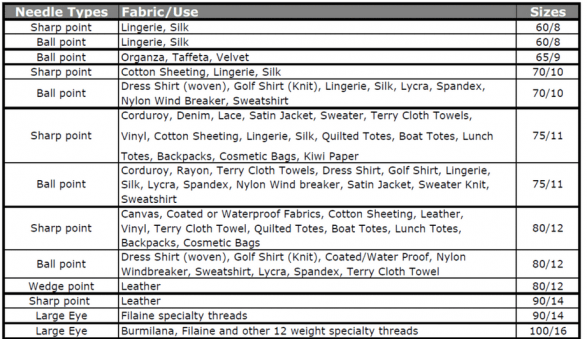 Threads are usually polyester or cotton wrapped polyester and for extra stretch the woolly nylon threads are suitable. Ideal for sewing and embroidery with rayon and metallic threads on woven or knitted fabrics. The Metalfil Needle is designed with a very large eye, allowing the threads to feed freely as you sew without splitting, burring or shredding. This needle is also suitable for general purpose sewing, giving the added advantage of being easier to thread due to the enlarged eye. For silks, micro fiber fabrics and for penetrating densely woven fabrics, also ideal for piercing and quilting layers of cotton fabrics with batting. A strengthened shaft also helps to reduce needle deflections as the needle penetrates multiple layers of fabric. The sharp point also produces smooth buttonholes.